When you need windshield repair in winter, a number of factors come into play that you don’t have to worry about during other times of the year. The top two issues repair technicians agree upon are temperature and moisture. Winter precipitation and rock-bottom temperatures can make it harder to execute an effective windshield repair, but it’s not impossible. In fact, sometimes it’s necessary to get windshield repair in winter, and your vehicle is in good hands at Glasshopper Auto Glass. Our repair shop is experienced in resolving all auto glass problems throughout the year. When repairing a chip or crack, your technician will make it their first priority to remove all moisture from the damaged area. Leaving moisture behind makes it harder for repair material to bond with the auto glass. 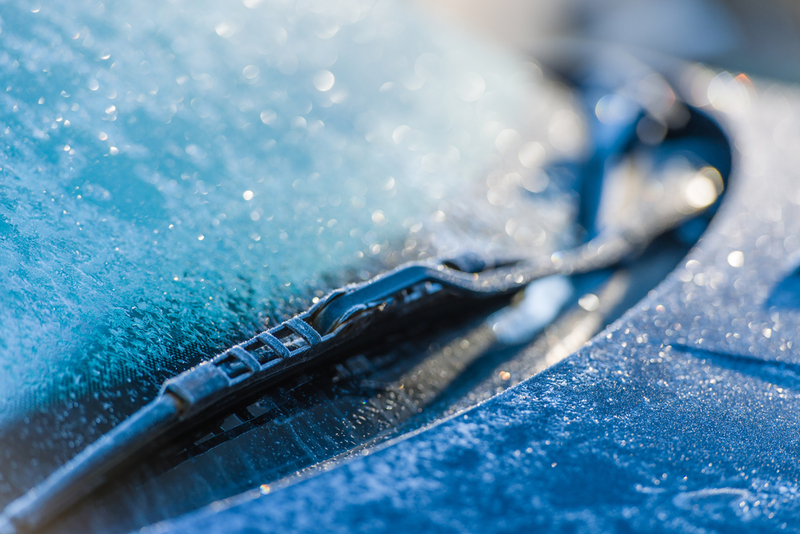 If moisture is trapped within the windshield, freezing temperatures can cause this moisture to freeze and expand. It will put internal pressure on the auto glass and can lead to additional cracks and damage. Secondly, your windshield can’t be frozen — we have to warm it up before we start the repair process. The best way to do this is by starting the car and using the defroster. As the car’s engine warms up, so will the air, gradually warming up the glass in preparation for repair. Windshield repair in winter requires a specific type of repair product. One of the most important features of any repair product is its curing time. Cold weather extends the time it takes for resin to cure, so it’s important to use a product that cures quickly. During the curing process, the windshield must maintain an even temperature, so we may do the repair indoors to control the climate. Should You Wait until Spring? Many vehicle owners ask us if it’s better to wait until the weather warms up to get windshield repair. We firmly say, “No!” every time. A damaged windshield puts your safety at risk. If you were to get into an accident, your car’s frame wouldn’t be as strong, putting it at risk of collapse. Also, winter is one of the key times you need maximum visibility, and a cracked windshield interferes with this, obstructing your view of the road. For all these reasons, and because of our capabilities in cold weather, we highly suggest scheduling windshield repair in winter with Glasshopper Auto Glass. This entry was posted in Our Blogs on January 15, 2018 by admin.